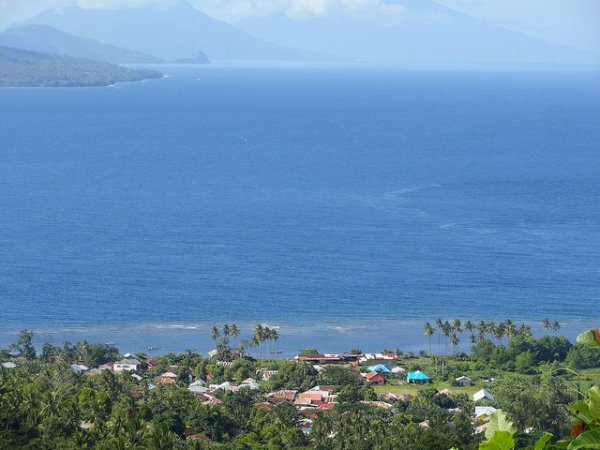 Following the release of West Papuan political prisoners by the Indonesian authorities, the Maluku Civil Community Advocacy Center called for the release of 24 pro-sovereignty activists from South Moluccas, who had been accused of treason. Indonesia’s release of five Papuan political prisoners earlier this month must be quickly followed by granting amnesty to political prisoners from neighbouring Maluku province, activists say. At least 24 pro-sovereignty activists from Maluku remain behind bars, according to Samuel Weileruny of the Maluku Civil Community Advocacy Center. These include nine political prisoners who were sentenced in mid-January to prison terms of up to four years on charges of treason. “What we fight for is the truth, and we do it in peaceful and dignified ways,” Weileruny told Ucanews.com in an interview. He said that jailing political activists for treason was improper. “Treason means a threat expressed with violence. People committing treason should at least have weapons so as to equally fight against the state. But we don’t do that,” he said. Pro-sovereignty activists in Maluku have long advocated for an autonomous state known as the South Maluku Republic (RMS). RMS attempted to secede in 1950 but was defeated by Indonesian forces the same year. A low-level armed struggle followed on Seram Island until 1963. But in recent years, the movement has become more symbolic in nature, with activists participating in banned RMS flag-raising and peaceful ceremonies. Simon Saija is one such activist. He was among the nine arrested last year for marking the April 25, 1950, anniversary of RMS’s original declaration of independence. After President Joko Widodo earlier this month granted clemency to the five Papuan political prisoners, one of Saija’s relatives, who did not want to be named, said political prisoners from Maluku also deserve leniency. Yanes Balubun, a lawyer for the nine Maluku defendants, didn’t want to compare the situation in Papua with the one in Maluku, but he noted that they are now both peaceful movements. “This is the same political stance, which is done in a peaceful way. So the Indonesian government should treat them the same,” he told Ucanews.com. Moshe Tuwanakotta was jailed in 2004 after he brought an RMS flag to a peaceful rally that year. He questioned why some Papuan political prisoners were released, but not activists from Maluku. “Political prisoners in Maluku must be released too, just like our friends in Papua. Why did Jokowi grant clemency only to Papuan political prisoners? Maluku also has political prisoners,” he said. Joko granted clemency to the five Papuan political prisoners on May 9 during a trip to Papua. The president had earlier visited Maluku, though he did not announce any clemency deals there. Andreas Harsono, the Indonesia researcher for Human Rights Watch, said he met with the Papuan political prisoners after their release. Their accounts of a conversation with Joko lead him to believe that prisoners from Maluku may eventually be freed as well. “If we see from Jokowi’s talk with those released Papuan political prisoners, it seems that freedom will also be afforded to political prisoners in Maluku, remembering that many political prisoners remain behind bars,” he said. Either way, many observers see Joko’s clemency deal for the Papuans as being insufficient. Activists say clemency implies an admission of guilt; they are arguing instead for a general amnesty. “We hope that [the president] grants amnesty or abolition instead of clemency,” Weileruny said.